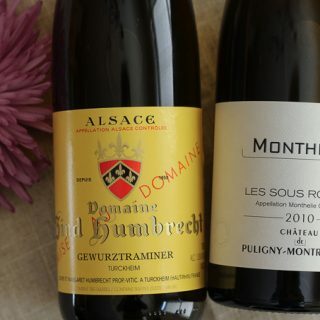 What makes Chablis different from other Chardonnays? Chablis is known as Chardonnay in its purest essence. 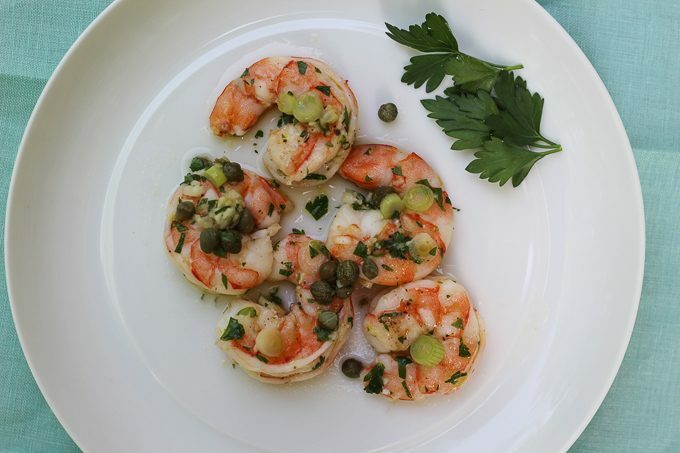 “The Sommelier’s Atlas,” describes Chardonnay from Chablis like this – “It has that distinctive acidity, that suggestion of minerality, that vaguely earthy note lurking under a mélange of citrus flavors.” It is the naturally high acidity in wines from Chablis that make it a perfect apéritif wine to pair with light fare like a marinated shrimp salad. Cheese and wine are instinctive pairing partners. At the end of the day, when I pour a glass of wine, I often raid my refrigerator for some cheese to go along with that wine. If I am entertaining, a cheese plate is often my go-to appetizer to serve my guests with that welcoming glass of wine. The pleasure of discovering new wines to taste is equally matched with being introduced to an interesting artisan cheese or an inspiring composed cheese plate. 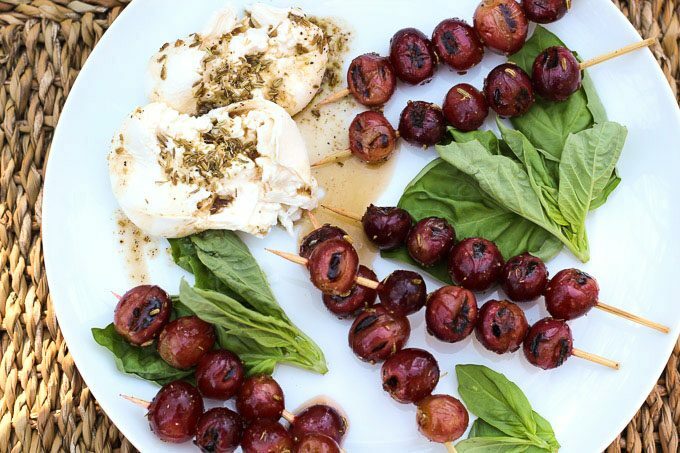 I came across Yotam Ottolenghi’s creation of “Burrata with Grilled Grapes and Basil” (my version pictured above) in his most recent cookbook, “Ottolenghi Simple.” I couldn’t buy the ingredients fast enough to try this simple, but visually striking cheese plate. 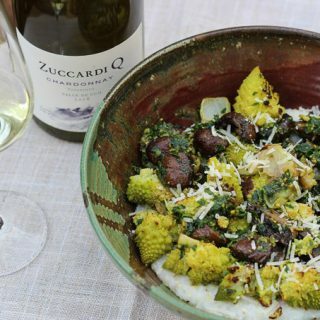 I paired this with a 2016 Jordan Chardonnay…. This month the Italian Food, Wine, and Travel group of writers are exploring Italy’s island wine producing regions. I am focusing my attention on Sicily more specifically, the eastern region of the Etna D.O.C. that surrounds the largest active volcano in Europe, Mount Etna. 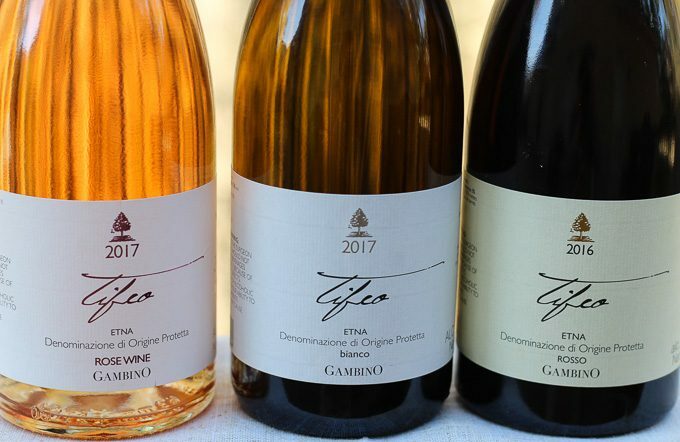 I tasted three wines from the Etna D.O.C. all made with indigenous grapes varieties. A Rosato made from Nerello Mascalese, a Bianco with Carricante and Catarrato, and a Rosso blend of Nerello Mascalese and Nerello Cappuccio. 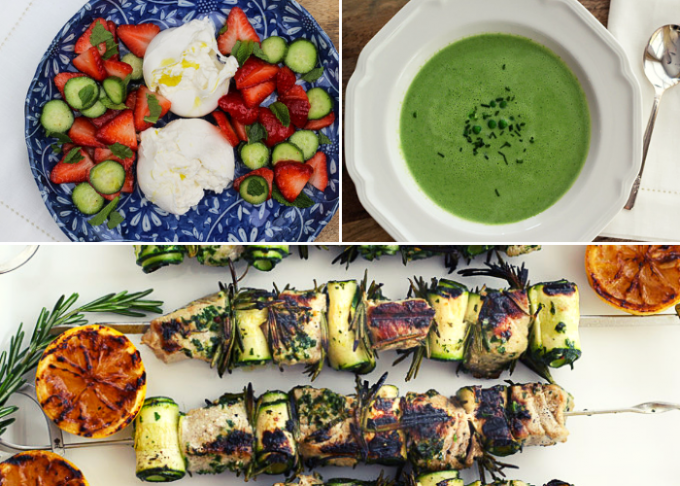 After tasting the wines, I came up with three deliciously vibrant food pairings; burrata and strawberry cucumber salad with a Rosato, a very spring green soup with a Bianco, and a traditional Sicilian tuna spiedini with a Rosso. Last fall I attended the Wine Bloggers Conference in Walla Walla, Washington and tasted Otis Kenyon Roussanne (Roo-sahn). After tasting a majority of red wines while I was in Washington, (the ratio of wines produced in Washington is 64% red to 36% white) this Roussanne was a treat to the palate. A medium bodied wine with herbal and citrus notes and a good lingering acidity to refresh the palate. 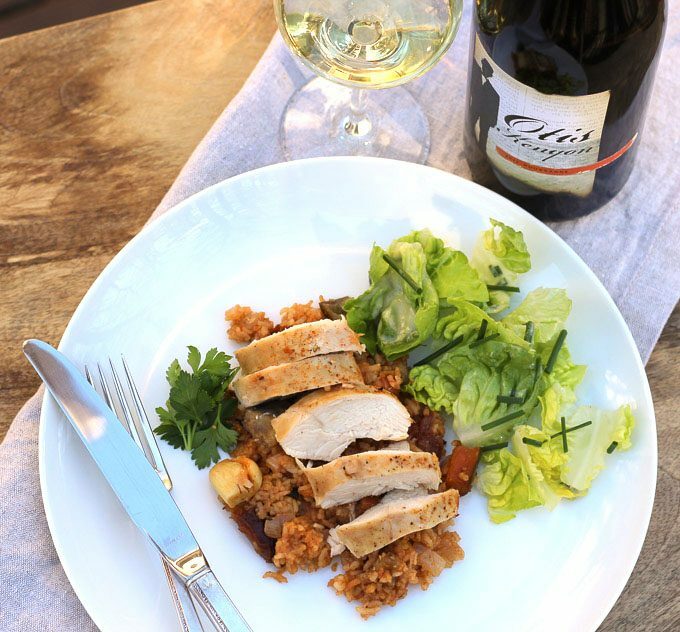 Otis Kenyon Wine made such a positive impression on me, I brought home a bottle of the Roussanne and recently paired it with Moroccan-Spiced Chicken…. Provence is well known for its rosé wines. However, you would be missing out if you haven’t tried the region’s red and white wines. Two of the flagship AOCs of Provence; Cassis and Bandol are producing some outstanding white and red wines. 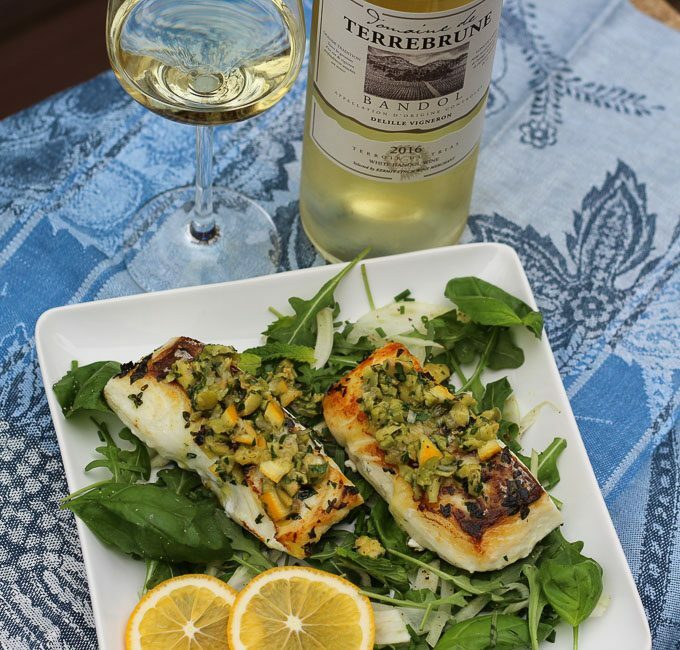 I tasted a Bandol blanc Clairette blend paired with halibut with Meyer lemon and olive salsa. While I am miles away from Provence, the bright, fresh flavors of the wine and halibut transported me to the Mediterranean coast of Bandol. It’s the new year and while we crave lighter and leaner foods after the holidays, in many places it is still cold and winter. 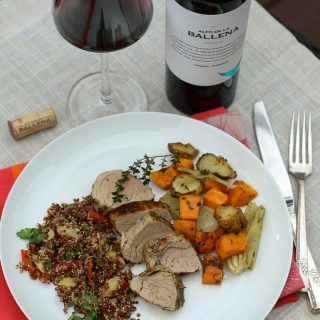 I for one, just want to hibernate in the evening with a glass of wine and some comfort food. 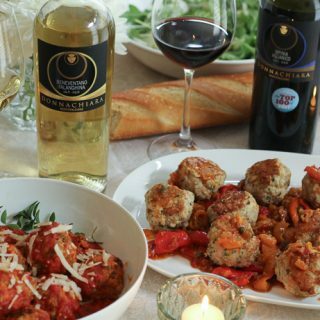 Meatballs and Italian wine are two of my winter comfort food staples….